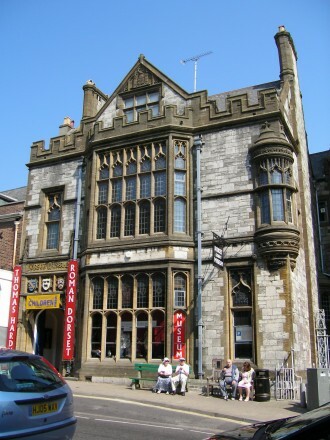 This seminar took place at Dorset County Museum, Dorchester, to coincide with the major exhibition Georgian Faces: Portrait of a County (15 January to 30 April 2011). Synopses of presentations can be found on this page. Read more about the exhibition Georgian Faces: Portrait of a Countyon the museum’s website here. The exhibitions curator, Gwen Yarker, wrote an accompanying catalogue which is available from the museum or online bookshops. In outlining the curation of the Dorset County Museum’s exhibition Georgian Faces: Portrait of a County this presentation demonstrated the significance of key acquisitions. Owned by the Dorset Natural History and Archaeological Society, the museum’s purchase of portraits of the Rackett family by George Romney has resulted in important outcomes. The present exhibition is amongst a number of initiatives, including a reassessment of present displays in the museum. Examination of the life and work of Dorset country parson and antiquarian, Thomas Rackett, to set the three Romney portraits in context, saw discussion about the form of an exhibition, either a monographic show devoted to Rackett and his immediate circle, or a broader, more ambitious examination of Dorset in the eighteenth-century. In deciding on the latter, the exhibition is structured round Hutchins’s History of Dorset. This major work offered a fascinating lens through which to read the period, grouping portraits in the exhibition along social lines, from the King and powerful landowners to the ‘merchant princes’ of prosperous Poole, the scientists and antiquarians of Blandford, and Dorset’s painters and architects. The presentation revealed how this independent museum is in the vanguard of cultural philanthropy since a budget for the exhibition of only £1,000, made sponsorship and business support essential. Trusts, private individuals and local companies like HY Dukes auction house and lawyers Humphries Kirk joined forces to support the exhibition together with Axa Art combined with art insurer R K Harrison. Paint supplier Farrow and Ball, was also very generous and the printer, Henry Ling of Dorchester, backed the production of the catalogue, with a foreword by HRH the Duchess of Cornwall, written by Gwen Yarker and supported by the Paul Mellon Centre for British Art. NADFAS locally, regionally and nationally provided financial and considerable practical help. Our other crucial exhibition partnership has been with the highly capable, dedicated and enthusiastic body of over 150 volunteers – an essential part of this museum’s life since 1845 – very much the Big Society in action. This presentation looked at some of the clothes, hair styles and deportment depicted in the Georgian Faces exhibition portraits and what they represent. The importance of dressing well in the eighteenth century was highlighted by Lord Chesterfield in letters of advice to his son and consisted, he said, not in the finery, but in ‘the taste, fitness and manner’ of wearing of one’s clothes. In a hierarchical society, dress was an expression of rank and status, reflecting not just a person’s age, profession or social standing but also their social setting. Clothes had to be appropriate to the season, time of day, formality of an occasion or whether in town or in the country. A range of service uniforms, ceremonial, legal and clerical robes in male portraits in the exhibition are explicit portrayals of profession and status, but less obvious forms of professional clothing are explored. For example, the black suits worn by clergy and lawyers and the less formal gowns and coats, often brown, worn by men engaged in more creative, intellectual or practical pursuits. However, a black suit might also indicate mourning. Women in the exhibition are portrayed in domestic settings, often fashionably dressed and in the act of sewing or some other kind of fashionable handiwork, reflecting a traditional feminine role. Other women have chosen to present themselves as more intellectual, by holding a book and wearing an alternative style of dress to the fashions of the day. A number of artists used drapery, classically-inspired clothing and so-called Van Dyke costume to create a more timeless and dignified image in contemporary portraits, avoiding the pitfalls of quickly-dating fashions. Dorset portraits reveal an awareness of fashionable poses as well as metropolitan styles of dress and hairdressing. Hair is a useful guide to dating eighteenth-century paintings and the fashions in men’s wigs changed as often as women’s hair arrangements. Portraits of prosperous Poole merchants in the 1740s show that attention was paid to deportment and the correct placing of the hands and feet. Some forms of dress such as men’s coats, shirt ruffles and neck cloths were briefly explained. The aim of this brief presentation was to demonstrate how an understanding of clothes (and the ‘taste, fitness and manner’ of wearing them) can help to date and decipher portraits in the Georgian Faces exhibition. The six brothers were the sons of Hon Edward Digby (d.1746) and his wife Charlotte, née Fox, sister of Stephen, 1st Earl of Ilchester and Henry Fox, 1st Lord Holland. This dynastic marriage between two of the great landowning families in Dorset produced a generation whose influence on the house and park can be seen today. Using records in the archives at Sherborne Castle, this talk introduces the brothers individually and puts their lives into the context of the society they lived in. Edward, the eldest brother, inherited Sherborne Castle at the young age of 22 from his grandfather William, 5th Lord Digby. Like many young people who take over a property from an elderly relative (his grandfather was 92), Edward set out to modernize the house and garden. His ambitions were cut short when he died unexpectedly five years later, but his brother Henry, who succeeded him as 7th Lord Digby continued the improvements. Besides remodelling the interior of the house and purchasing fine furniture (still to be seen in the house today), Edward and Henry transformed the Park by the creation of a lake and parkland, commissioning the young and unknown Lancelot Brown in 1753. The talk describes the making of the new landscape, using the evidence from the estate accounts, and also the work inside the house. The younger brothers were no less influential. Robert went to sea at the age of twelve and had a distinguished naval career, rising to the rank of Admiral and purchasing his own estate at Minterne from the profits. His periods of unemployment from the Navy gave him leisure to indulge a passion for gardening, particularly the more structural elements. He probably designed the bridge in Sherborne Park and built his own bridge at Minterne. His lively personal life was a source of amusement and perhaps envy to his brothers, who were tied down in more fixed occupations. William went into the church, first into a family living but becoming Dean successively of Worcester and Durham. A scholar and theologian, he published a book of sermons towards the end of his life. Stephen went into the army, but left when an opportunity arose to join the court as vice-chamberlain to Queen Charlotte. To his great distress, his wife died of cancer shortly afterwards. As a courtier, he came into contact with Fanny Burney, with whom he developed a close relationship, which she hoped would lead to marriage. Charles, the youngest, went into the church but preferred hunting and county social life. During the King’s illness, Stephen Digby was one of the few people who could manage him and he accompanied him when the court moved to Weymouth in 1789. The royal party visited Sherborne Castle in August, spending the day riding round the park and dining in the house in the evening. The following year Henry was created Earl Digby, by which time the re-modelling of the house and park were nearing completion.